I saw another headline in a local newspaper about Caterpillar Inc. moving its hydraulic hose assembly facilities from both Dixon and Sterling, Illinois, to another facility in Menominee, Michigan. 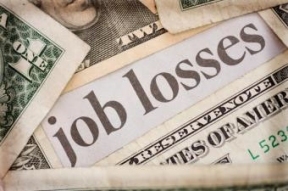 This will mean a loss of 170 jobs in Illinois and yet another case of manufacturing flight from this state to another state with a better tax rate and more incentives for those businesses wishing to set up. As if it is not bad enough that this country has lost so much corporate business to overseas competition, but it is no less a problem for Illinois that it cannot keep what high paying jobs it has left. A good part of the problem is that Illinois’ tax structure is to put it mildly unclear. There have been seven proposed different tax structures for the year 2015. This means that those businesses still here are quite nervous how much taxes they may be forced to pay, and those that had thought about moving to Illinois are now having second thoughts. Caterpillar is not the only major company that has decided to move some of its facilities out of this state. AM manufacturing decided to move its facilities to Indiana, and OfficeMax Inc. decided to move its facilities to Florida. This trend of a business hemorrhage from Illinois has meant that other states like Indiana, Wisconsin, Iowa, Florida, Michigan and Texas have greatly benefited from job loss in Illinois. But the losses are also collateral damage. It is not just the job losses that are affecting Illinois. Many of those who earned high incomes from the jobs they once had here in this state are leaving this state in search of the same high incomes they once had here. Those businesses that had benefited from those manufacturing and high tech companies that have left this state have either had to go out of business (meaning more unemployed people added to the unemployment rolls), or go where the business is booming. All of this can only be attributed to what is happening in Springfield. Apparently, the state legislature and the governor seem to not have their act together. For whatever businesses do come to Illinois, more seem to leave. We cannot have this kind of condition continue indefinitely. Perhaps we should either elect new and more innovative representatives to keep business and jobs here in Illinois, or we will keep seeing the same business drain.